Tap House Media builds A LOT of WordPress websites. We see trends come and go, themes rise to the A+ list, and plugins become even more plentiful and powerful over time. I have my favorites — plugins that I use with every single website I build, ones that have stood the test of time and perform consistently without issues, and ones that have helped me grow my business. Lucky for you, most of them are in this list that we’re sharing. We want to spread the love (and our secret tips) for choosing the most useful and important plugins to accompany your WordPress website. LeadPages: LeadPages is definitely, without a doubt, one of the top lead generation software applications on the market. It comes with a plethora of integrations, including, yep, you guessed it, WordPress. This plugin allows you to incorporate your beautifully designed landing pages into your website and also connect your opt-in offers (*think – email signups) right into your website with timed displays, location variation, and more. This is a must-have for ANY business focused on generating more leads and growing their email list. Click here to try Leadpages for yourself! WP Rocket: Website speed is important. Have you ever visited a website that took forever to load? What did you do? You peaced out of there and found something else, am I right? Let’s not let that happen to you. With WP Rocket, your website will be supercharged for speed with powerful caching, static file compression, database optimization, and more. Mobile Monkey: Lead generation and list building have never been easier with this beauty of a plugin. Mobile Monkey harnesses the power of Facebook messenger to connect with your audience on a whole new level. Think drip campaigns, chatbots, scheduling, lead nurturing all through the most popular social media tool, Facebook. Set up intuitive workflows without using one line of code. Sounds amazing, right? This plugin is so genius it even answers FAQ’s so you’re not glued to your phone 24/7. Even better is that Mobile Monkey has a FREE option with everything you need to build and deploy powerful chatbots for websites, facebook ads, bulk messaging, and more. Thank you, Mobile Monkey! 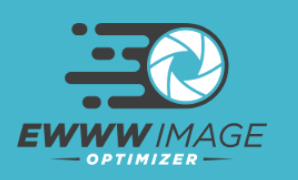 Ewwww image optimizer: Sometimes, and by sometimes I mean ALL THE TIME, we see websites that are completely bogged down by imagery that is not optimized. Not everyone has software to do this before uploading their beautiful photographs to WordPress, we get it. But it’s important to have appropriately sized imagery on your website to increase speed, performance, and conversion rates. This FREE plugin does all that for you. Just install and watch your pics shrink and your website speed up. Yoast SEO: OMG, if you don’t have this plugin installed you’re nuts! This is by far the best, easiest tool to increase your SEO reach out there. It’s extremely easy to use and offers tutorials on pretty much every option you’ll need to build your SEO profile. With easy title tag, metadata, and keyword integration, you’d be CRAY not to install this on your website. Do it! CSS Hero: WordPress themes (templates) rely on CSS for their visual appearance. If you need to make customizations, you’ll need to learn a new language – CSS. Ain’t nobody got time for that! CSS Hero is a plugin that allows you to customize any WordPress theme without writing (or learning) a single line of code. If you find your theme has limitations, this plugin is a definite must-have for you. Insert Headers & Footers: Chances are you’re using Google Analytics and Facebook Pixel to track visitors to your website. Good! Adding the accompanying code to your website can get tricky. You’ll want to stay away from adding it into your main theme files as that can get messy and potentially break your site – we’ve seen it happen. This plugin will allow you to add your tracking script to your theme files without a potentially fatal outcome. Two thumbs up for this one! Backup Buddy: You need to back up your website often, especially if you’re making updates and blogging consistently. Anything can happen in cyberland and an attack on your hosting server can result in a website disaster. This plugin will allow you to automate your backups and send to a cloud storage space like Google or Dropbox for safe keeping. WordFence: Security is a necessity with open source software like WordPress. WordFence not only comes with robust login security features but their security scan component alerts you quickly in the event of a security issue. Other amazing features include security incident recovery tools and powerful blocking mechanisms for complex and brute force attacks. Monster Insights: This is by far the BEST Google Analytics plugin for WordPress. It allows you to connect your analytics right to your website so you can see stats fast and easy – no need to sign in to your analytics account. This will easily help you to measure your ROI and make informed decisions about advertising and optimizing your website. WP Forms: Wp Forms is the most intuitive, lightweight, and easy to learn drag and drop contact form plugin out there. It’s our top pick for a contact form for so many reasons. It’s so simple to use, a WordPress beginner can handle it. Additional features include payment integration, order forms, file uploads, and more. There is a free version but we suggest springing for the pro version if you’re looking to expand on your capabilities. You won’t regret it! With all the WordPress options floating around out there, we hope you found this list helpful in your next plugin decision-making process. Stay tuned for more tips and advice! !